Sagrada Familia or the Temple Expiatori de la Sagrada Familia is one of the most emblematic works of Gaudi in Barcelona. It’s a giant Basilica that is still under construction but has already become Barcelona’s most important landmark. 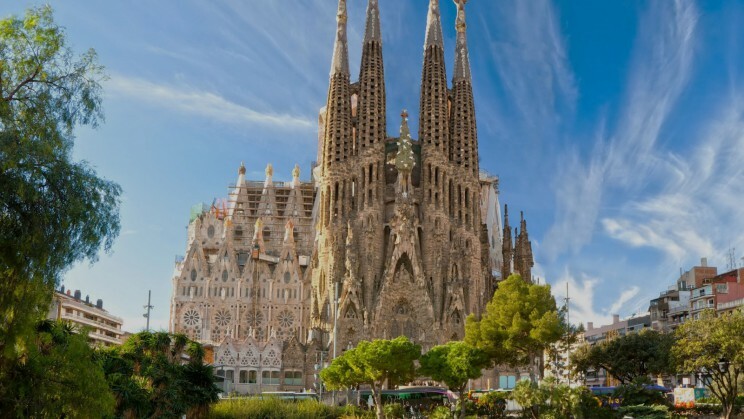 The Sagrada Familia is an international centre for spirituality which, in an exceptional setting, invites people of all backgrounds and faiths to share in a sense of life based on love, harmony, good, generosity and peace. It is a catholic basilica with a symbolic expression in stone of the Christian faith. The construction began in 1882 and it is still finished, but it has already become a Barcelona top tourist attraction. Gaudi was involved in the project in 1883.He took over the project and transformed it with his architectural and engineering style, combining Gothic and curvilinear Art Nouveauforms. He devoted his last years to Sagrada Familia, and at the time of his death at age 73 in 1926 the basilica was between 15 and 25 percent complete. After Gaudí’s death, the construction continued under the control of Domènec Sugrañes i Gras until it was interrupted by the Spanish Civil war in 1936. Parts of the unfinished basilica and Gaudí’s models and workshop were destroyed during the war by some Catalan anarchists, only to resume intermittent progress in the 1950s. 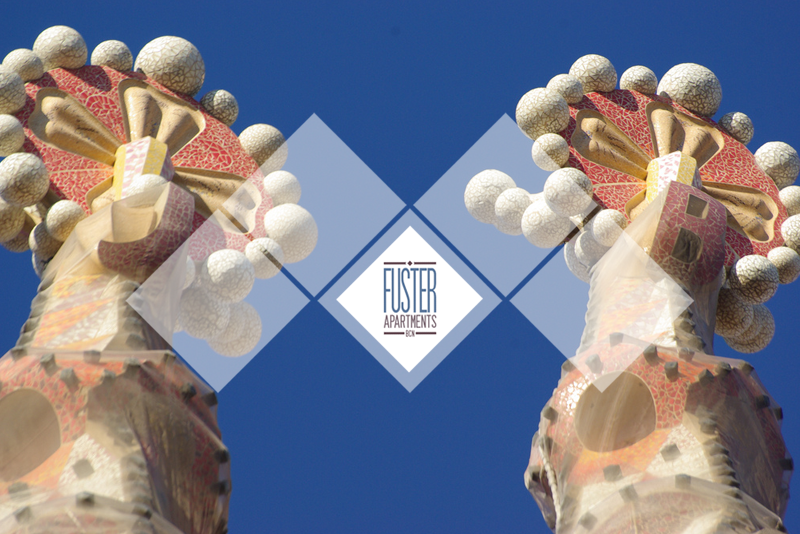 Construction passed the midpoint in 2010 with some of the project’s greatest challenges remaining and an anticipated completion date of 2026, the centenary of Gaudí’s death. The church will be able to accommodate some thirteen thousand people. 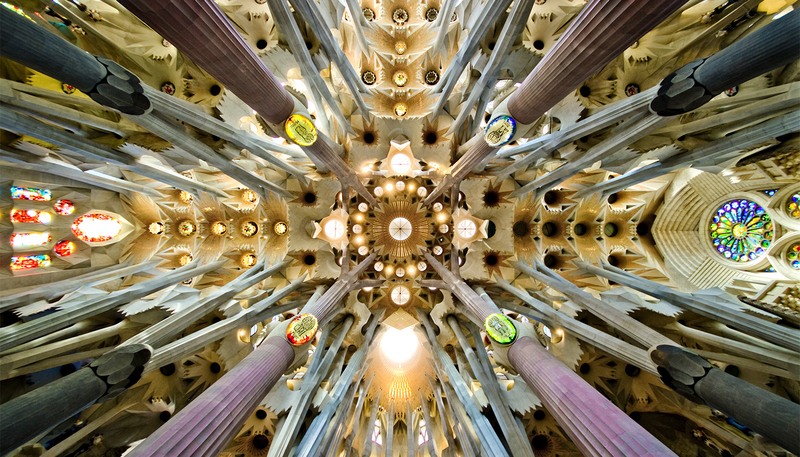 When finished, the Sagrada Família will have a total of eighteen towers. The main projects being undertaken today and over the coming years are the construction of the west sacristy and the central towers. The Tower of Jesus is being built above the vaults of the crossing and the apse and will be crowned with a cross 170 metres above ground level. It will be flanked by the four Towers of the Evangelists. Work on these five towers has already commenced. Four towers on each of the three facades represent the twelve apostles. There will also be a tower dedicated to the Virgin Mary above the apse. The Sagrada Familia will be completed by the construction of the west front, or Glory façade. The price of a ticket with a guide is 19,50€ and without guide it is 15,00€! The entrance fee to the Temple of the Sagrada Familia is a donation towards the finishing of the construction of Sagrada Familia! Book Apartments near Sagrada Familia here!